Abstract: Since I had an Airwheel Q3, my life is totally changed. My personality has transferred from introversion to extroversion. Meanwhile, I make lots of friends making life enjoyable. It's Peter White, a 15-year-old boy from Los Angeles. Only judging from my childish face, I'm still a student in middle school. There is a fact that I have to admit that I was so introverted before that I never said a word to the stranger proactively. I barely had few friends until I received a present at 2016 New Year. I never thought it should be a twin-wheeled scooter which is much safer than the hoverboard. 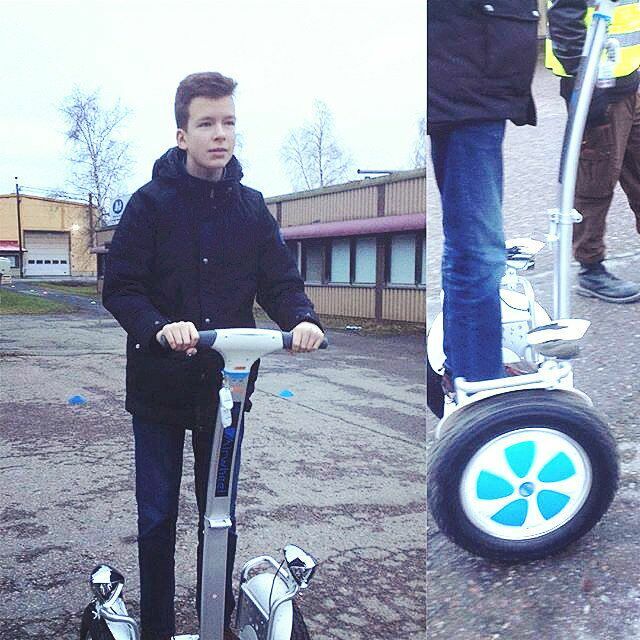 This scooter is designed with just solid colors yet without losing fashion elements getting a hit in my school. In the light of the aviation attitude control system, I gradually got the point to remain balance when I stood on it. Anyway to keep balance on the twin-wheeled electric scooter is the key. After one week, I realize that practice makes perfect. Now my classmates or some school mates come up to me for grasping the skill to control the electric air board. Then I am patient to explain to them how to ride it properly. When speed exceeds 12km/h, the front end of pedal will rise gradually; when it exceeds16km/h, the pedal will pose a 10 degree referred to the horizontal level, which keep you from inclining further to accelerate. For us, weekends and holidays are our big day to hold riding matches and activities to improve skill. We can gather together with my teammates in the plaza or some open air with less people around. It attracts more team members' joining. Days with rolling on the electric scooter are the best time of my life. Thanks to it, I can make such good friends.